I really like Windows 8. I’ve upgraded my desktop and my netbook (which I’m typing this post on) and it has made both machines run faster than Windows 7. Windows 8’s designers thought of all sorts of little things that I absolutely love. My favorite is right-clicking in the bottom left corner of the screen (no matter what mode you are in). You’ll be greeted with an awesome menu with a bunch of Power User favorites. 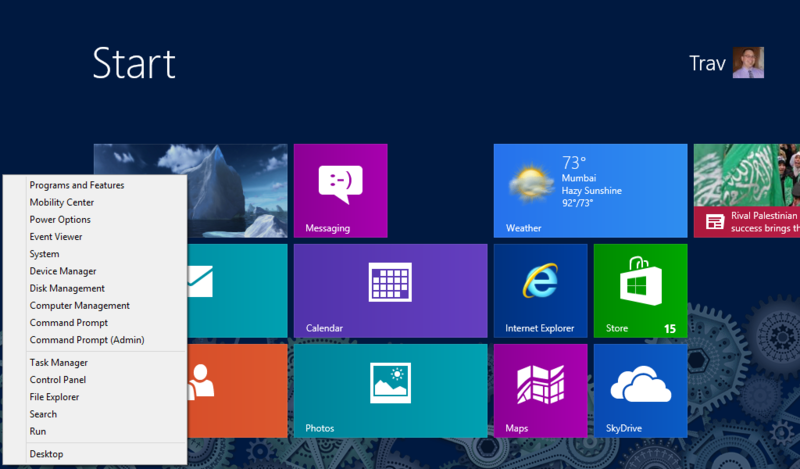 Right-click the bottom left corner of a Windows 8 screen to get this sweet menu with loads of Power User favorites. This list is a who’s who of stuff that Power Users, system admins, and lab managers use every single day in one quick-to-access place. If you are one of these people, make sure to add this to your mental toolbox. Happy admin’ing!